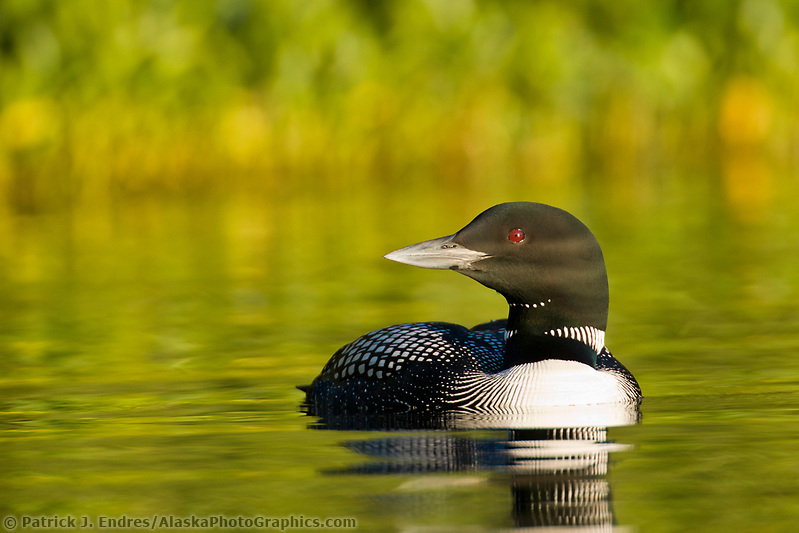 Alaska is home to all five species of Loons due to the abundant lakes in wilderness areas free from disturbance. 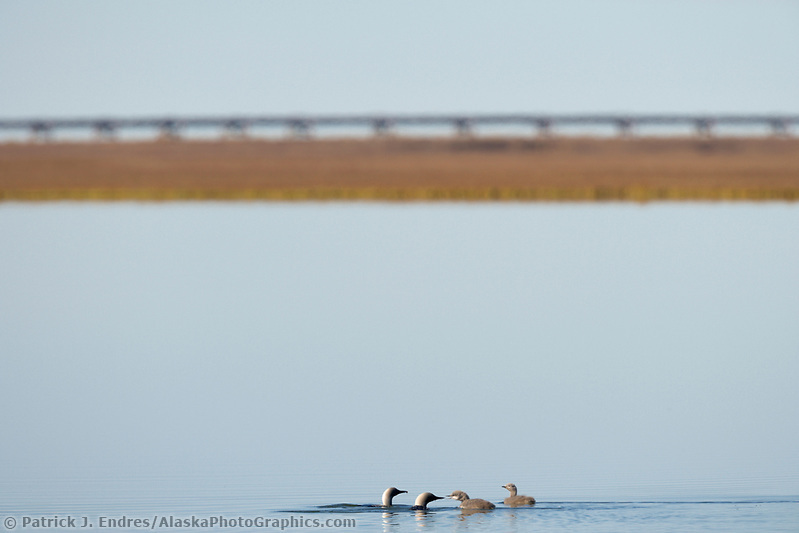 In my travels around Alaska, I have photographed four out of the five species so far. 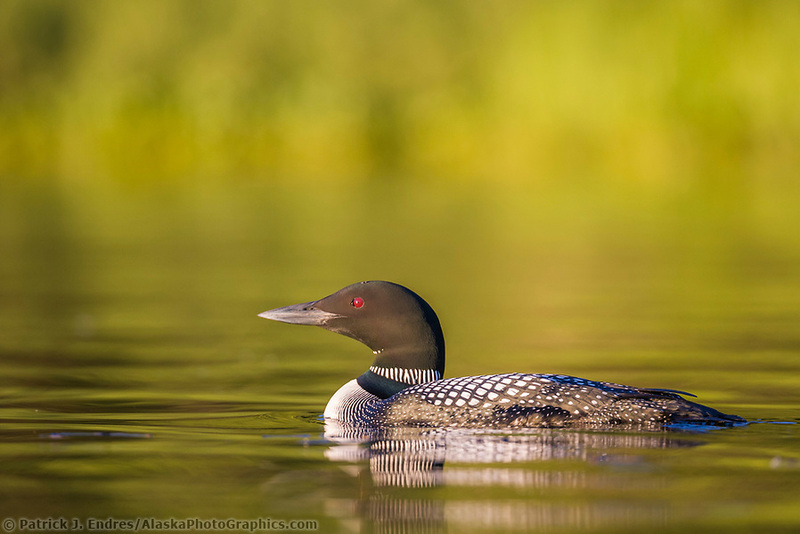 All of the Loon photos here are available to license as stock photos for commercial use or to purchase as fine art prints for your home and office decor. 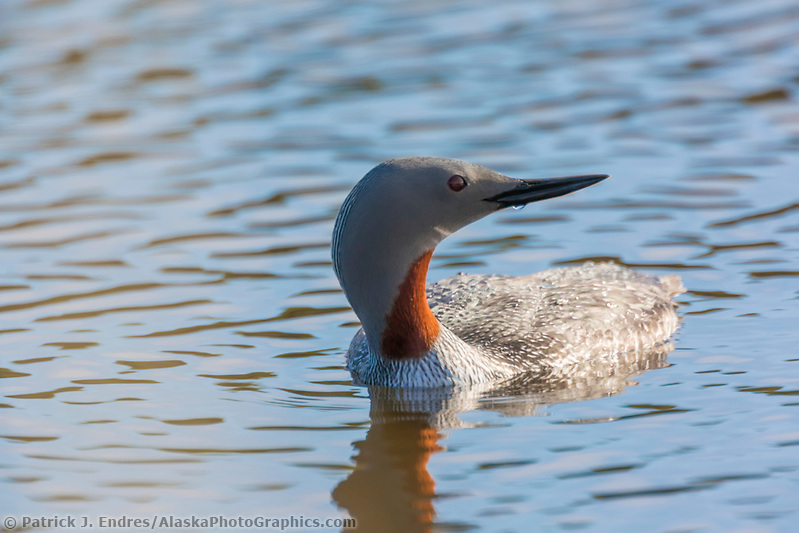 The Red-throated, Yellow-billed and Arctic loon inhabit the coastal areas of the state and the Common and Pacific Loon inhabit a much broader rage across coastal and Interior Alaska. They are amazing birds and all are strikingly beautiful. In some areas, the birds have become habituated to human presence making photography easier. 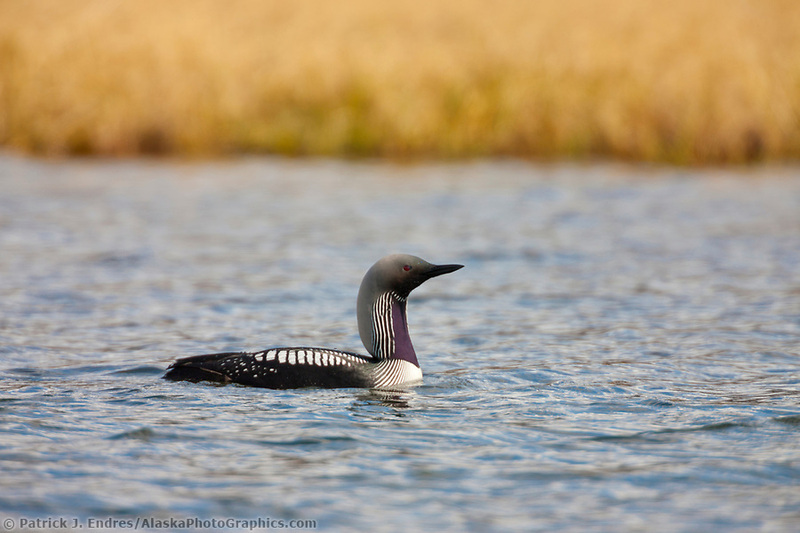 Loons are awkward on land, with legs positioned for optimal swimming. As a heavier bird, they are avid divers and catch fish underwater, which is often swallowed before surfacing. Their excellent design for water navigation comes with a small compromise, and they require a large stretch of water to take flight. They can become stranded on lakes that are too small. 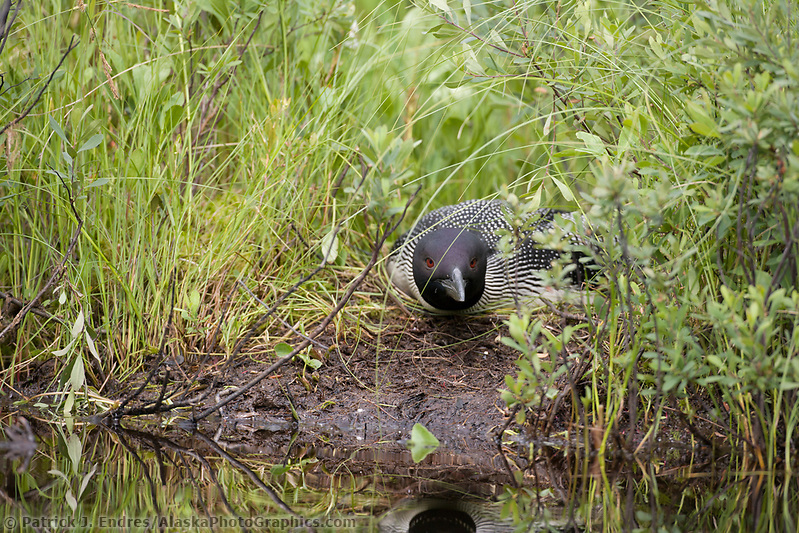 The Red-throated loon is the most widely distributed, but smallest and lightest of the loon family. It breeds primarily in Arctic regions, and winters in northern coastal waters. During the breeding season, it exhibits a distinctive reddish throat patch from which it derives its name. The Common Loon is a large water bird with a long, pointed bill. It sits low on the water. Plumage is similar between the sexes, but the male is larger. 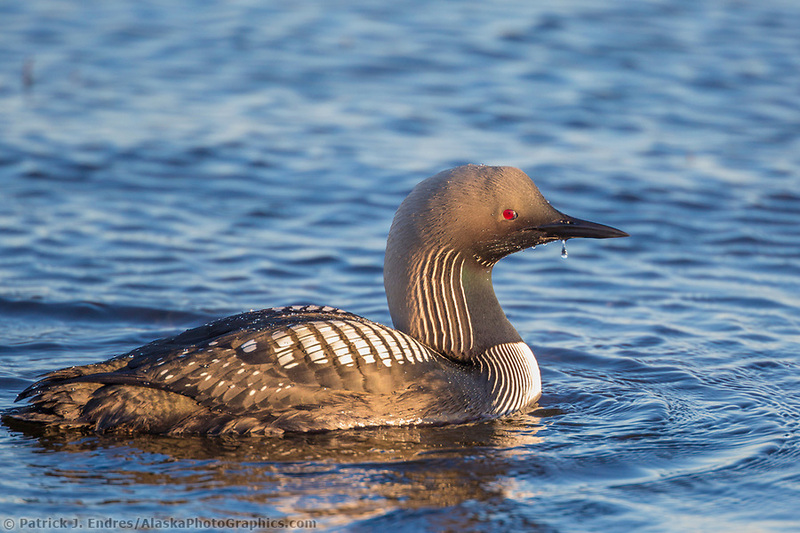 The eerie loon sound is a territorial call made by males. Such calls are often heard echoing across a lake or pond. 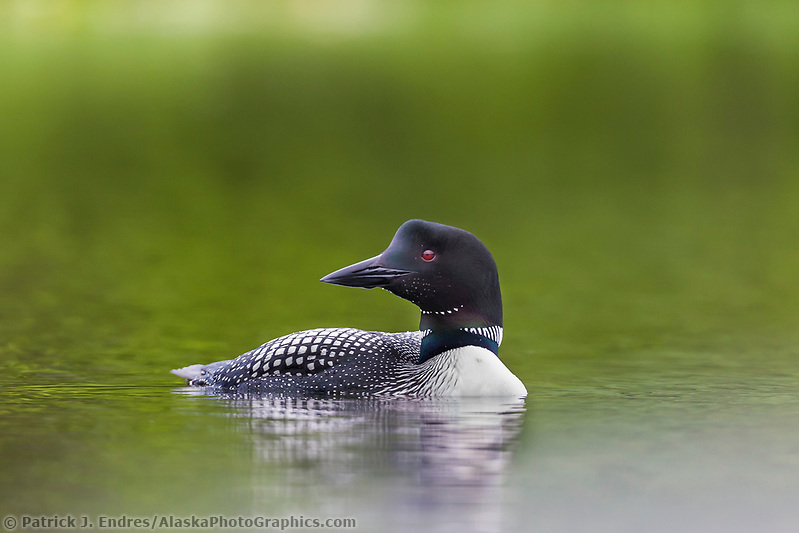 Loons are water birds and only go ashore to mate and nest. 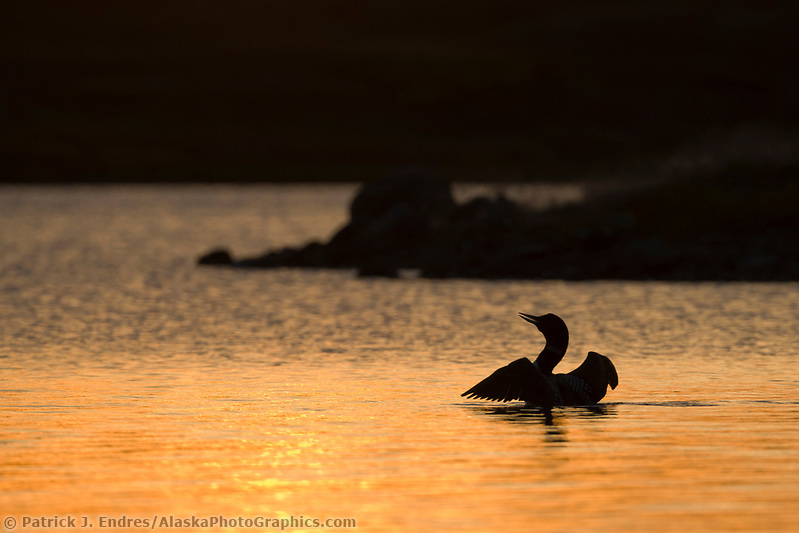 The summer breeding range for the Yellow-billed loon is along Alaska’s Arctic coast. 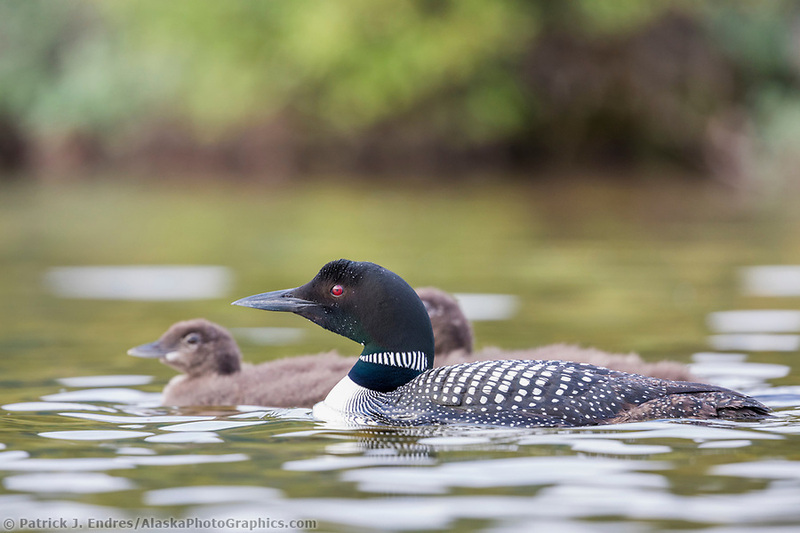 They are the largest of the loon family. The bill is distinctly yellow colored in mature birds. 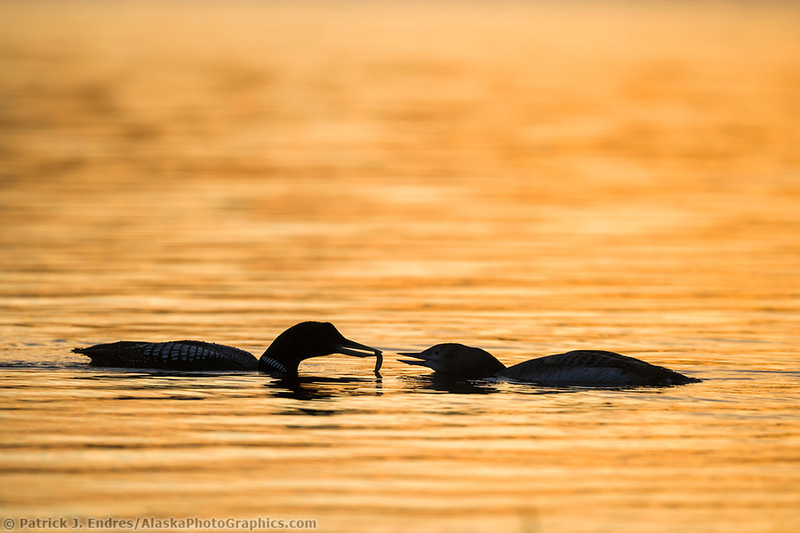 Adult loons fastidiously feed their young throughout the summer months into the autumn. The above photo was taken in September, with little time left before ponds freeze up in the Arctic. 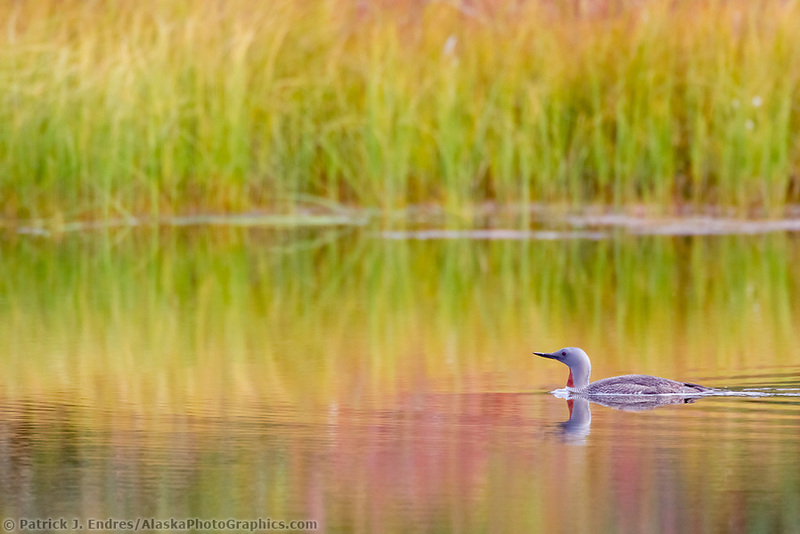 The Pacific Loon has a beautiful gray nape, similar to that of the Arctic loon and they can be hard to distinguish. 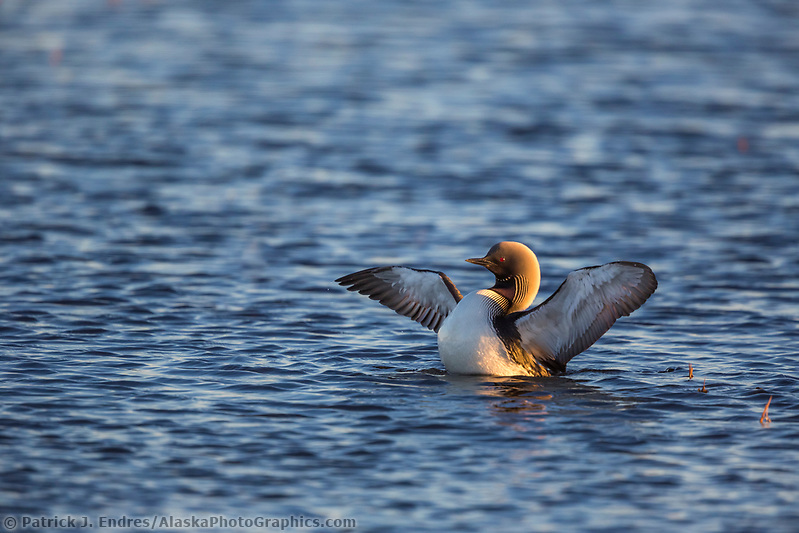 The Pacific, however, has a very broad breeding range across Alaska, (and is considered to be one of the most abundant loon in North America), whereas the Arctic loon breeds in a restricted region along the northwest coast.